Breast cancer. 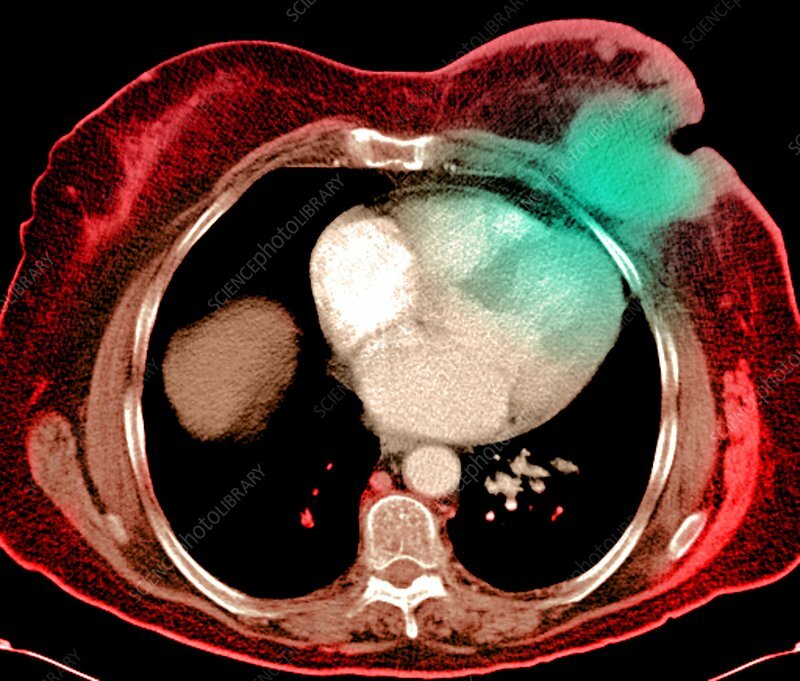 Coloured computed tomography (CT) scan from below, showing a horizontal section through the chest of a woman with cancer in her left breast (top right). The vertebral column (back bone) is at bottom centre. The cancer (green) has spread from the breast outwards and formed a deep ulcer on the skin (black 'cut' in the green area). Worldwide, breast cancer is the second most common type of cancer and the fifth most common cause of cancer death.